Friday, May 6th, 2016 at 11:24am. When you think of south Florida you often think of boating, waterfront dining and sensational tropical cuisines. Why not have all in one experience? 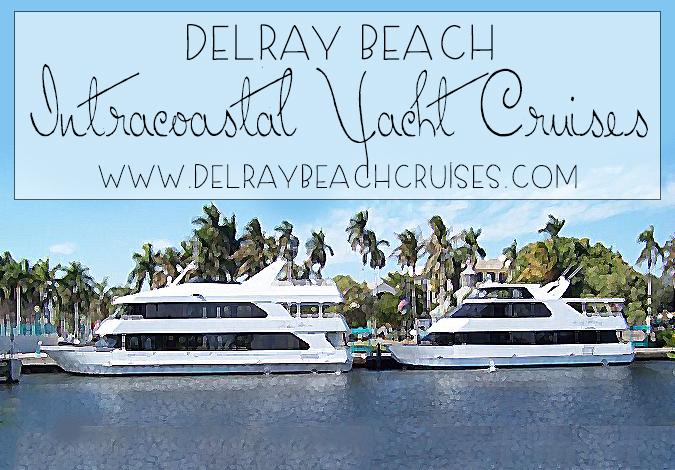 You can with a yacht cruise in Delray Beach. A night on the town will be a whole new experience in Delray Beach as you sail on the tranquil waters of the Intracoastal Waterway on the Lady Delray and the Lady Atlantic. Wednesday, March 9th, 2016 at 10:35am. For a magical night beneath the stars and on the water, try one of Delray Beach’s Yacht Cruises. Experience a night out in Delray Beach in a whole new way as you cruise along the calm waters of the Intracoastal Waterway on the Lady Delray and the Lady Atlantic. Once you step on board one of these beautiful boats you may begin your night with your favorite cocktails and appetizers as you cruise past Delray Beach’s most famous real estate. The tours are two hours long and are narrated to give you an enriched experience. On some nights you might even see some dolphins or manatees on a Delray Beach Yacht Cruise.